Volunteers in Surgical Day Care perform non-clinical duties to make the hospital experience for surgical patients more comfortable. Volunteers direct them to change rooms, instruct patients on the correct way to wear their hospital gowns and prepare them for their interview with the nursing staff. The Auxiliary purchases track suits for patients who are victims of assault or abuse. 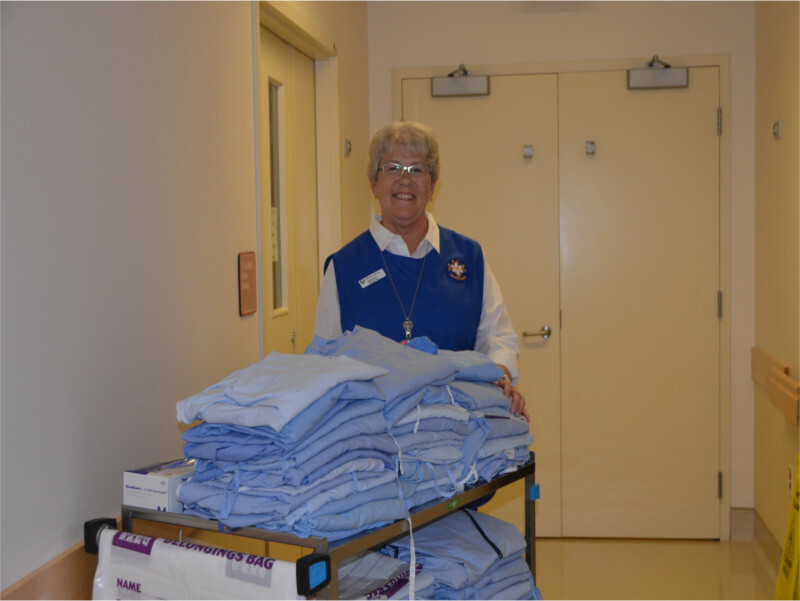 Our auxiliary purchases clothing to facilitate in discharging patients. The clothing is kept in good supply and is accessible to hospital staff when there is a need. Often, the providing of necessary clothing and amenities helps the discharged patient leave the hospital and frees up beds for other patients. Auxiliary volunteers are needed and appreciated for their role in providing assistance to staff in this busy area of the hospital. Volunteers provide some relief for staff who are often dealing in an unpredictable and stressful environment. 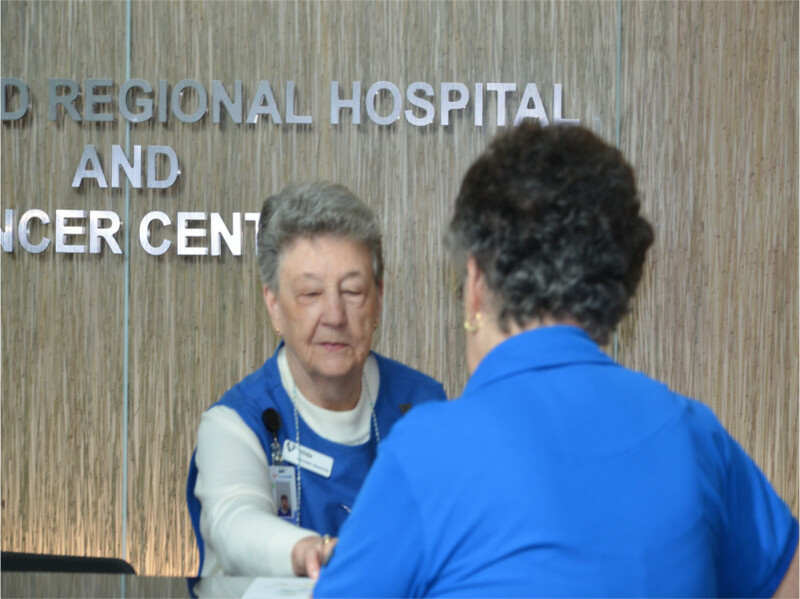 Volunteers provide comfort to patients, family members and visitors. They assist with communication in a guest related role which eases the burden of staff. Our Auxiliary members help out at the busy Greeters Desk. Our volunteers help visitors locate family members and friends who are patients in the hospital. Often they accompany visitors to the correct location. Volunteers provide comfort, support, and information to patients and families attending General Day care for medical procedures. Volunteers complement and enhance the role provided by the professional hospital staff. Initiated and partially funded by the Harris family, the program provides free coffee for family and friends of patients in ICU. A Kurig machine purchased by the auxiliary is continuously supplied with coffee pods, cream, sugar and cookies. Be part of our great family, meet new friends, and make a difference in our community. We have volunteer opportunities within our hospital that will suit everyone’s passion and skills. 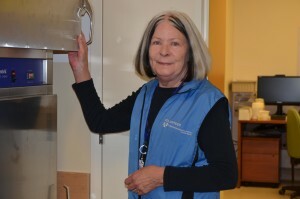 Our Auxiliary volunteers provide a valuable service to patients, families and staff by performing a variety of support functions throughout the hospital. Come join us!